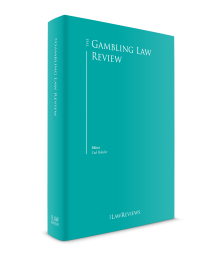 Welcome to the third edition of The Gambling Law Review. I was very pleased last year that we managed to increase the coverage of the guide from 16 chapters to 25. This year I am pleased again to say that we have increased coverage to 29 chapters, including new contributions from four important jurisdictions – Bulgaria, France, Macao and the Netherlands. I am delighted to welcome the new authors and thank them for their contribution, as I am also very pleased to thank those who have found the time and resources to continue to make a contribution to this work. We are getting fatter! What are the aims of this book? There are several. First and foremost, to provide a short summary of the gambling law of the jurisdictions in question. Second, to achieve that in a format that is uniform enough to allow comparison between the different legal systems but also flexible enough to recognise that gambling law springs from different sources in different jurisdictions – in some countries it is founded in the criminal law, in other places it forms part of civil or administrative law and, of course, it is sometimes rooted in a common law and sometimes in a civil code tradition. The third aim is to allow practitioners in the field to be updated on developments over the course of the year – with a section in each chapter dealing both with the main milestones of the past 12 months and the likely developments to come. Have we achieved that end? Of course, it is for others to judge – but I was heartened to meet a fellow professional at this year’s International Casino Exhibition in London who congratulated me for ‘that little grey book’, which he said he frequently consulted and found ‘immensely useful’. And not only useful, but up to date and freely available online, as a resource for everyone. Which brings me to the fourth (and normally unspoken) aim of this book, which is to showcase the work of some of the leading gambling lawyers across the world, without whom this book would not exist. Each has given their time and considerable experience to produce something comprehensive and digestible – and as a summary of their own thoughts and work in the field. And so, may I make this suggestion to readers from the gambling world on behalf of my co-authors? If you find this Review useful, then please give them a call, safe in the knowledge that you will get more of the same quality. The gambling world has been a busy place again in the past 12 months. What are the key themes? Let me pick three. More and more governments are turning their minds to the regulation of gambling. The most obvious shift is in the United States, where the Supreme Court has just been considering the constitutional implications of a ban on gambling. During the preparation of this Preface, we have heard that the US Supreme Court has ruled 6:3 that the Professional and Amateur Sports Protection Act of 1992 violates the 10th Amendment to the US Constitution, and therefore should be struck down. The 10th Amendment protects the power of individual states to make their own laws, in all circumstances where the Constitution does not explicitly give power to the federal government. It is therefore anticipated that the Supreme Court decision will mark a new turning point in the United States’ relationship with gambling, more than a decade after UIGEA caused tremors across the world. There are plenty of states with draft legislation awaiting such a decision, and we will have to see the reaction of sports bodies seeking to find a way to tap into their share of a rich new market. The US is surely one of the most lucrative potential markets for sports betting – not only because it is a wealthy nation, but because it is one in which sport is marketed and televised more than in perhaps any other country in the world. With baseball, American football, basketball and ice hockey, there are four incredibly well-followed and, above all, data-rich sports that would be the subject of a very substantial betting market. Interesting times. The US is not the only place where change is coming. We have seen new laws progressing in many countries, including Ireland, Sweden and Switzerland, and a host of significant shifts in legislation in countries as far apart as Australia and Slovenia. Further, there has been a continuing flow of decisions from the Court of Justice of the European Union in relation to the gambling regimes across Europe, and let us not forget the Asian markets, including India, where the pace of change has been somewhat slower (but the potential prize is very substantial indeed). It feels as though regulators and governments are becoming better organised and tougher on operators. Although there are still places where ‘soft touch’ regulatory regimes persist, more regulators are making life harder for operators, with new rules and higher penalties for non-compliance. There is an increasing focus on financial crime, money laundering and social responsibility. Industry has reacted by improving its standards, but still feels embattled against waves of criticism, which in some cases seem to impose a higher threshold than for other adult industries. Indeed, I would argue that the increased levels of regulation are more the product of an increased ability to regulate, rather than an increased need. For one thing, although the amount of regulated gambling going on in the world is certainly increasing, that may reflect the fact that regulation is more effective, and that gambling that had previously operated on a black market basis is now being brought within the fold. And even if the amount of gambling going on in the world is increasing, there is no substantial evidence that the amount of problem gambling or underage gambling is on the rise. One of the most interesting features of the international gambling industry over the past two decades is the way that it has continued to engage in paradigm shifts. After many centuries of a land-based tradition, the internet and mobile communication created an international betting market for the first time. And now, just as we are getting used to that, new developments are changing that model again. For example, bitcoin and cryptocurrency technology, which was in its infancy only a couple of years ago, is now becoming mainstream – already being used by some operators and requiring serious consideration by regulators. Many still hold the view that there are hidden dangers with such cryptocurrencies – and of course they are not without risk. However, they also provide some interesting possibilities in terms of ensuring provenance and traceability of funds and even that the tokens can only be used by those over the age of 18. We have also witnessed a growing convergence of gambling and game playing, a development that throws up both paradoxes and new challenges. Studies show that for many the entertainment experienced by playing games is not lessened if there are no monetary stakes, and so one must ask whether social gaming represents a fundamentally new chapter in gambling psychology and practice. Equally, the rise of social gaming models blurs the barrier between what is regulated and what is not – with e-sports, and in game rewards (‘loot boxes’) also confusing the picture. 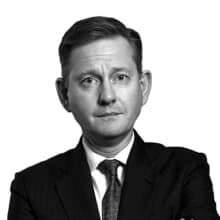 Traditional models and expectations of what gambling is and how that form of entertainment is monetised are radically changing – and that leads to very important questions about whether the limits of regulation need to be redefined. In the context of these changes, an annual review of the world of gambling law surely has an important place. I close by thanking my co-authors and the editorial team at The Law Reviews for their organisation and encouragement.